Visitate il nostro negozio specializzato in fitness con una superficie d'esposizione di oltre 275m². Now, the sporty heart of Graz beats at the retail park Arland. On a space of 275 sqm, we present you a multi-brand exhibition of fitness equipment for all training targets and at all price categories. 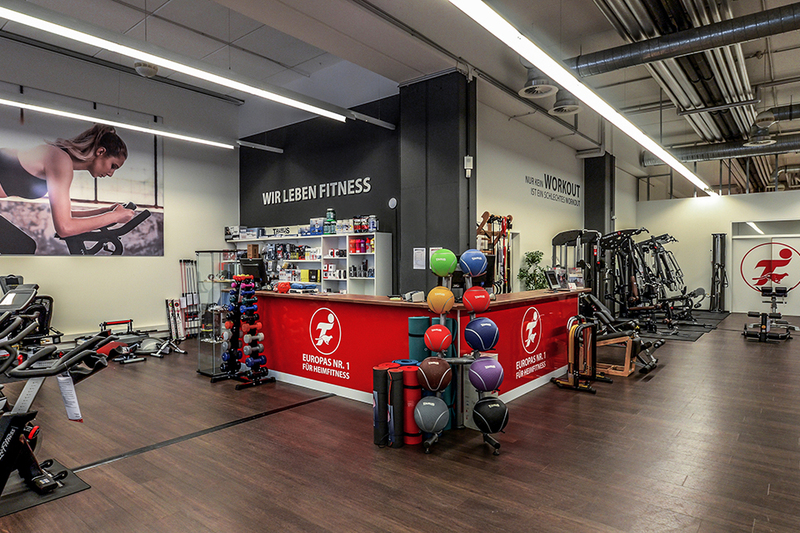 Our specialist fitness store is conveniently situated Am Arlandgrund 2 and is thus directly to reach from the 67/Weinzöttlstrasse. 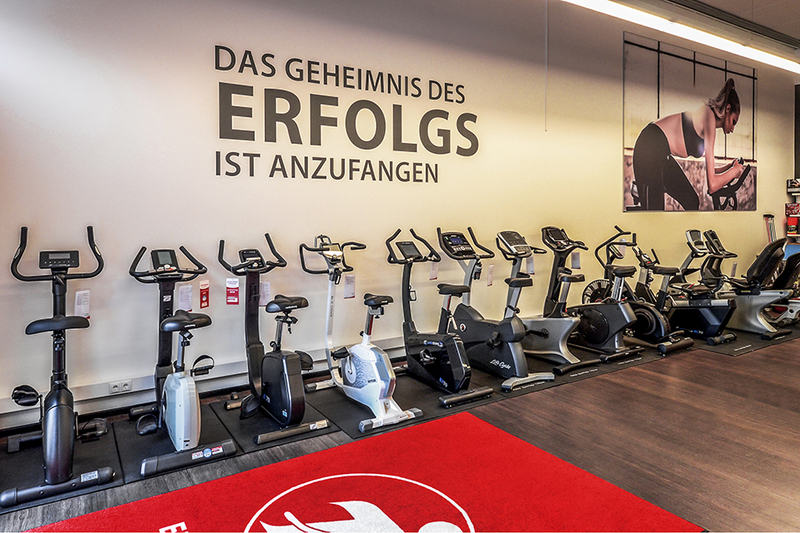 When you wish to buy your fitness equipment on site and wish to take it along directly, that's no problem, because we offer sufficient parking space in front of our specialist store for fitness equipment in Graz. An active lifestyle with movement and good nutrition is the best remedy against many diseases and complaints and it makes a lot of fun, of course! In order to enjoy this fun and a better health in an easy-going manner, you are welcome to buy first-class fitness equipment in Graz - with individual advice. Here, our competent team of our specialist fitness store in Graz is available for you. Our sports and fitness experts on site take their time to find the ideal fitness equipment for you in a personal conversation. Buying a fitness equipment means to make an investment in the future and here a perfect adaptation is of utmost importance. We as Sport-Tiedje Group employ a team of experts at our headquarters and our stores, of it are sports scientists, fitness merchants, technicians, and competitive athletes. In order to buy a fitness equipment in Graz, which makes you feel good, you can test and try a lot of different fitness equipment there. In Graz, we present fitness equipment as, i.e., rowing machines, treadmills, elliptical cross trainers or weight benches for testing. More than 100 different bulky equipment pieces wait for you. When you are looking for different equipment, that's no problem, our fitness pros are regularly taught with regards to our online range of more than 6,000 fitness products. 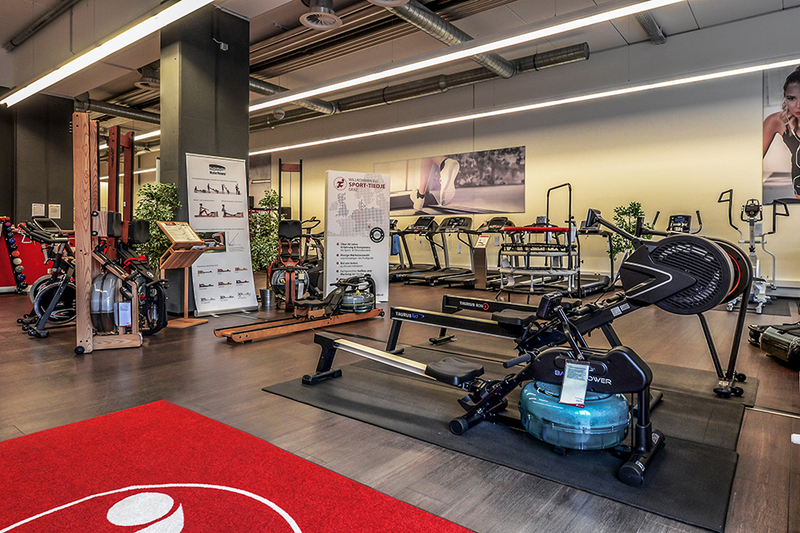 You cannot only buy bulky fitness equipment in Graz, but we also offer you a wide-range accessory: it includes the smallest weight plates up to 20 kg competition barbells, from professional training computers for the wrist to Kinesio tapes. You can also purchase sports nutrition at our specialist fitness store in Graz. Our team is happy to give detailed advice about all fitness topics. 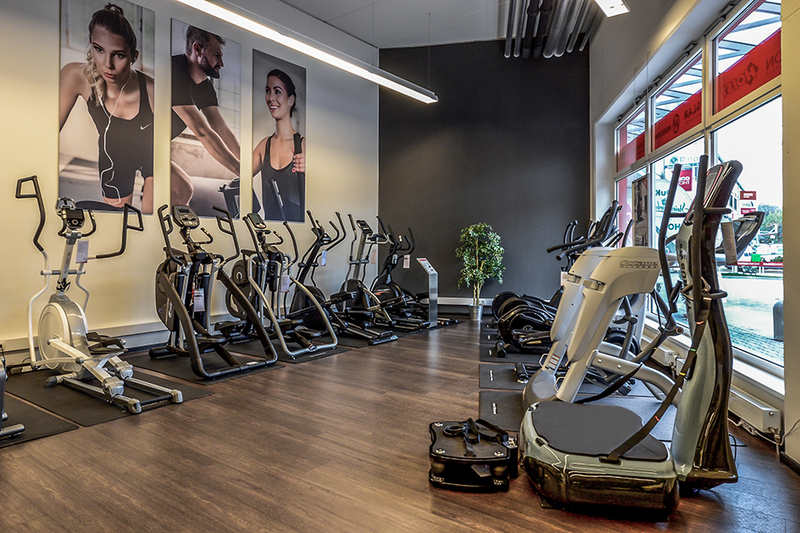 Thus, the whole world of fitness is available for you at Am Arlandgrund 2 in Graz. The only thing you have to do on your own is exercising. We are looking forward to your visit.